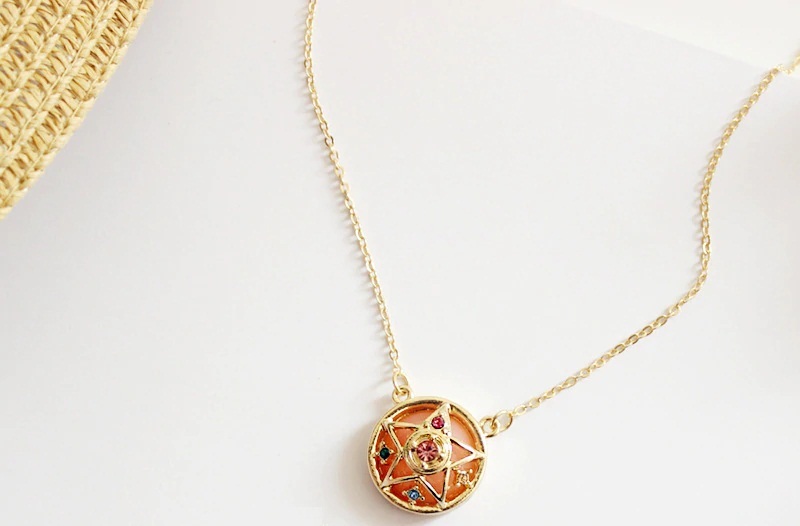 This beautiful necklace looks exactly like the Crystal Star transformation brooch that Sailor Moon was using. 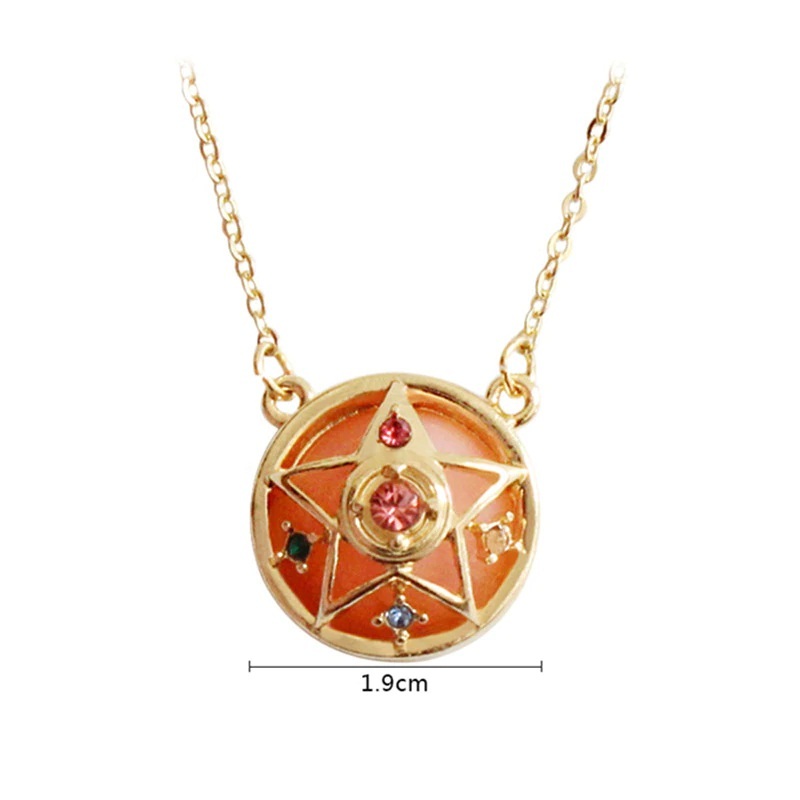 The first time it was used was in episode 51 of the anime after the original transformation brooch got broke. It is made of alloy. 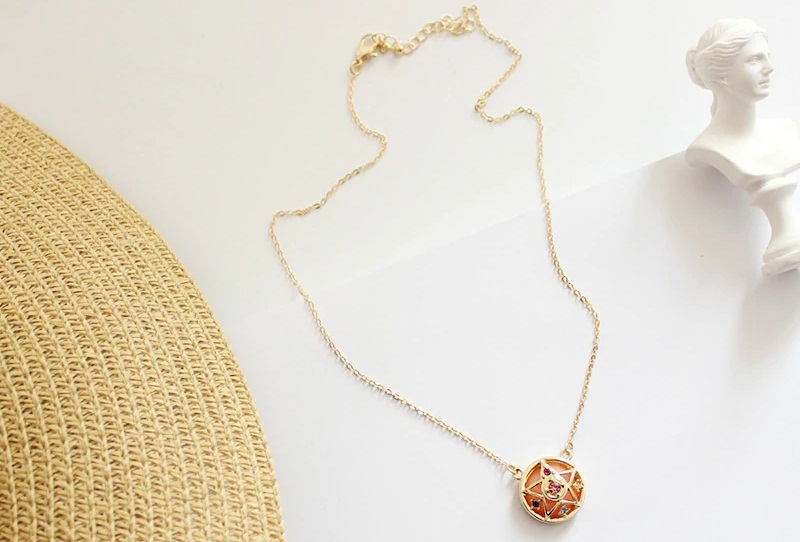 The size of the chain is 40 + 6 cm (15.75 + 2.36 inch) and the pendant itself is 1.9 cm (0.75 cm) big.